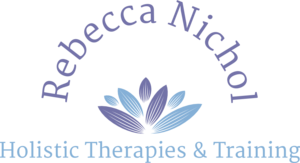 Becky Nichol is a Reiki Master Practitioner and Teacher and fully qualified Reflexologist, having initially trained at the Oxford School of Reflexology. Practicing for over 12 years, she is a full member of the Association of Reflexologists and the UK Reiki Federation, holds a level III Diploma in Indian Head Massage, a VTCT level II qualification in Beauty Therapies, and a Diploma in Preconception, Pregnancy & Postnatal Care Reflexology. She has also attended additional training in Deep Tissue Massage. Reiki - aims to assist the removal of energy blockages and negativity from the mind, body and soul for a calmer, more relaxed, energised and empowered you. Reflexology - aims to reduce stress and stress-related conditions, address digestive, fertility and pregnancy issues, menopausal symptoms, improve circulation, increase energy levels and aid relaxation. Indian Head Massage - aims to reduce neck and shoulder tension, headaches and migraines, clear the sinuses, reduce snoring and clear the mind for improved concentration and clarity. Please click on the links for more information on each of these treatments and their benefits. Becky practices from her treatment room based in Bodicote near Banbury, Oxfordshire, just a two minute walk from Bannatynes Health Club, and a short drive from Sainsbury’s. Also easily accessible from King's Sutton, Adderbury, Deddington, Bloxham, Broughton, Middleton Cheney, Chacombe, Wardington, Chipping Warden, Byfield, Bicester, Brackley and surrounding areas. I help anyone who feels they need help, may it be emotionally, physically or mentally. I have trained in a range of therapies and so am able to provide those clients with whichever treatment(s) I and they feel will benefit them most at that time. 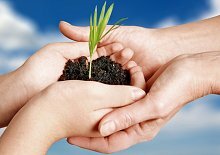 Some of the areas I have helped clients with are: stress, anxiety, depression, emotional or mental fatigue, lack of mental clarity, physical aches and pains, hormonal or fer tility issues, sleep problems, stress related or other digestive disorders, circulatory problems and poor immune function. After their initial visits many clients also use my therapies as a preventative measure, or maintenance plan, to keep them feeling great on the inside. Reflexology, Reiki and Indian Head Massage are all Holistic treatments, meaning that they work on the whole body rather than just the area showing symptoms, making these treatments more likely to solve an issue rather than to mask it. If you have any questions please contact me by phone, text or email and I will respond as soon as I can. Treat the special Lady in your life to a gift voucher towards a treatment of their choice, or see my Spring offer below. Vouchers posted free of charge, email me with details of value, message and delivery address. Enjoy a deep tissue massage covering the entire back, neck and shoulder area with your choice of oils. Followed by an Organic Facial using Neal’s Yard products to cleanse, exfoliate, massage and moisturise the skin for a more radiant you! 90 minute treatment. Pick one up on your first visit and receive a 20% discount on your 6th visit. Not available in conjunction with any other offer. I have put together some treatment packages on my price list page to help you get the most out of your treatments and save money too. The Postnatal package makes a fantastic gift for a new Mum! 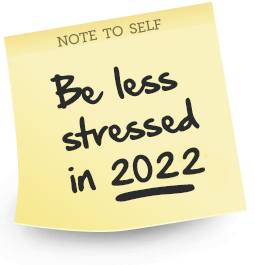 Follow this link to view and/or subscribe to my newsletter for latest news, wellbeing tips and offers. A one-off opportunity to attend a Saturday Indian Head Massage Workshop! Click on the Training Courses tab to find out more. Please CLICK HERE for information on my Workshops. "Thank you Becky, for the healing reiki treatments that I can enjoy in your tranquil treatment room. You bring a calm, professional, experienced touch to your work and I thank you for the care you take to make me feel comfortable and nurtured. "I had the best nights sleep I've had in years that night!! I'm driving my husband mad as I keep going on about how amazing it was!!" "Becky thank you for my two days training. Extremely well thought out and in tune. Our class was perfect. Ambience excellent"
"Thank you very much for the IHM treatment this morning. The pain relief was wonderful. When I arrived this morning I was in a lot of pain but it is so much better"
"Very enjoyable, enlightening and thought provoking. I've enjoyed it very much, and look forward to starting my Reiki II"
"Thank you so much. I have thoroughly enjoyed the training and will definitely be going on to Reiki II with you"